Have you found an online vendor selling Plantation Jamaica Xaymaca? Poured neat it has a wonderfully sweet aroma that reminds me of dried pineapple. The first sip is strong, with a lot of flavor up front and a bit of burn in the back that lets you know it's packing 50% ABV (100 Proof). This is a great example of Jamaican Funk, with the taste of raisins and over-ripe fruit that leaves behind a sweet spiciness that makes you lick your lips and go back for another sip. An ice cube mellows the burn a bit, and gives you a bit more fruitiness. 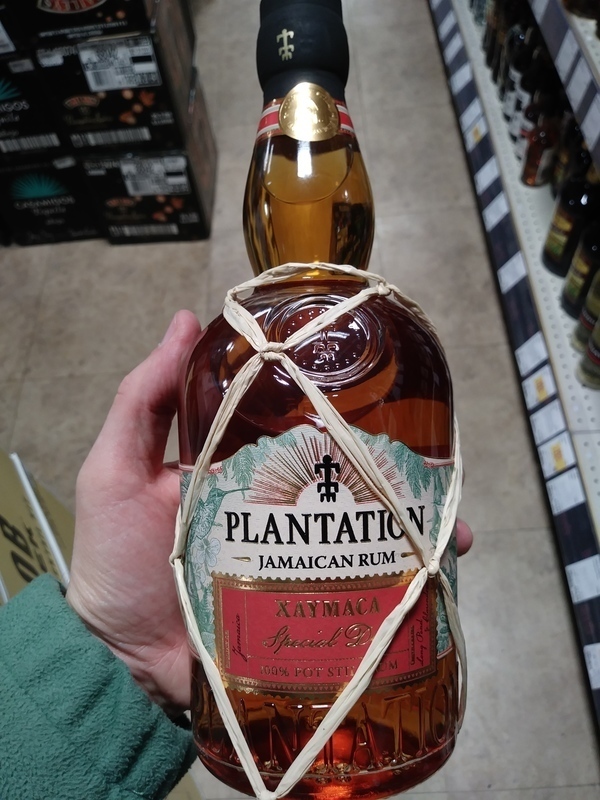 This would feature well in a tiki cocktail, but makes for a good sipper if you enjoy Jamaican Funk. Great body. Strong but round and with a delightful lengthy ending. Dry but a hint of sweetness. This one suited my tounge. Salon du Rhum Spa 2018 - plutôt sympa mieux que le jamaica "normal"
Příjemná vůně rumového aroma. Prý vyhrál zlatou medaili v Německu. Není to špatné, ale za tu cenu se standardně nedá moc čekat. Je opravdu DRY! to ho ale zase řadí o chlup výš. Asi dost dělají tradiční sudy po šampaňském. Chutná ušlechtile, ale není pro každý den.